My husband recently went through a gut health program called Gut Thrive in 5, since after a surgery he had years ago (with resulting secondary infection and IV antibiotic use), his gut needed a little extra help. His experience has been really good and he has seen a noticeable reduction in bloating and digestive problems (as well as some weight loss). One of the parts of the protocol is a soothing digestive tea called CCF Tea or Cumin Coriander & Fennel Tea that is said to be good for reducing bloating and inflammation. 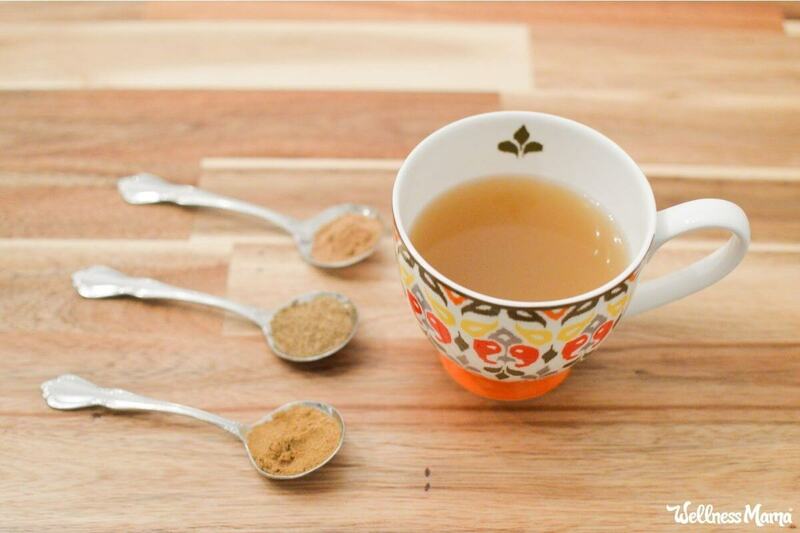 The taste of this tea is a little unusual as you might imagine (in fact, he jokingly calls it “Taco Tea”) but it turns out that this three-seed tea has ancient Ayurvedic roots and a host of benefits. (Note that this would not be the best choice for anyone on an autoimmune paleo type diet as it does contain seeds, but those who can consume spices and seeds can enjoy this tea). On their own, these spices are some of my favorite to use in cooking, with cumin as part of my homemade taco seasoning, chili seasoning and fajita seasoning and fennel used in homemade sausage. 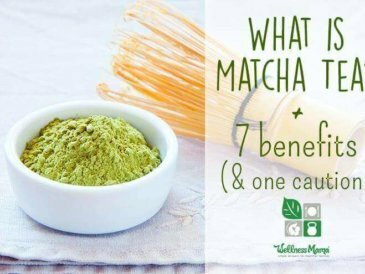 In combination, these potent spices have a unique soothing ability and even though I wasn’t on the protocol, I found this blend relaxing as an evening tea or as a mid-morning drink for mental clarity (and it seemed to increase my milk supply and calm my baby’s stomach as well so I’ve continued drinking it). Cumin has a long history of use for improved digestion, to help balance blood sugar and for respiratory issues. It is a source of Iron and Manganese, and one variety of cumin is the source of black cumin seed oil, which also has a long history of medicinal use in various cultures. Cumin has a long history with documented use in ancient Greece and Rome, as well as in Biblical times. In fact, evidence of the use of cumin as a remedy was even found in the tombs of ancient Egypt and in writings from ancient India. Hippocrates mentioned it in his writing and many cultures have used cumin in culinary and medical uses throughout history. A couple of recent studies have shown some promising potential for Cumin to help naturally increase pancreas enzymes and reduce bad cholesterol levels. Coriander is the seed of the Cilantro plant and also has a long history of use in Asia and Mediterranean countries for thousands of years. Evidence of its use was found in ancient Sanskrit text and in ancient Egypt. In cooking, it is often part of Curry blends and is used to flavor Gin and certain other alcohols. 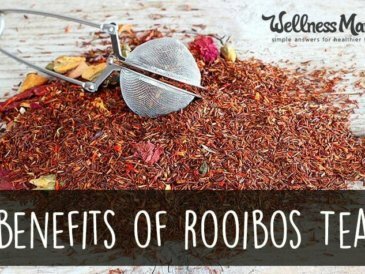 It has been used as a digestive remedy throughout history and is also documented as being used as a relaxing spice to calm an anxious mind. It is also sometimes used in tinctures and remedies for respiratory problems, urinary issues, and nervous system disorders. 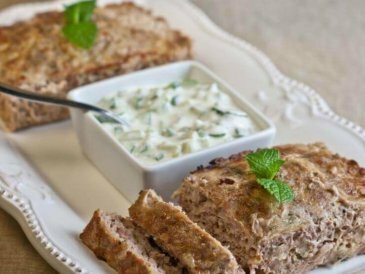 Some people notice skin benefits from using Coriander as well. Another spice with a history of ancient use by the Chinese, Indian, Egyptian, Roman, and Greek cultures as a carminative (remedy for bloating and gas) and expectorant (respiratory remedy). It is often given to nursing mothers to improve milk supply and because its soothing properties seem to help calm a colicky baby through the milk as well. It is found in recipes in many cultures, especially in Italy and France. 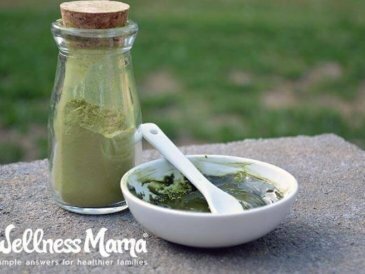 Improved Digestion– All of the spices used in this recipe are associated with better digestion and are carminative (meaning they reduce bloating and gas). 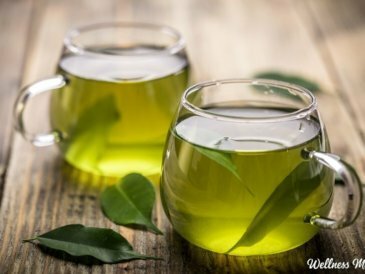 Possible Fat Loss– This tea may help improve fat loss according to some preliminary studies. Increased Milk Production in Nursing Moms– I noticed this effect, which makes sense because fennel and cumin are often recommended to help increase milk supply. Soothing for Colicky Babies-Another effect I noticed personally as this tea seemed to have a soothing effect not only on my own digestion but on baby’s too. Unlike some herbal remedies (homemade cough drops– I’m looking at you), this remedy couldn’t be easier to make with a few basic supplies and some cumin, fennel and coriander seeds. 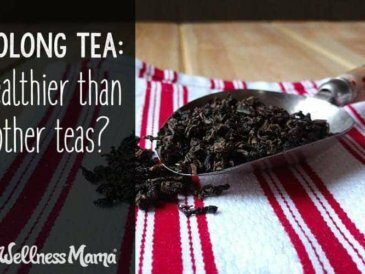 I’ll warn you that the taste is a little bit unusual, especially if your main method of tea consumption tends to be of the sweet tea variety, but we really liked the calming and soothing effects of it and I think you will too! Also, Christa (founder of The Whole Journey and the Gut Thrive in 5 course) recommends adding some lemon or lime and some raw honey to help the flavor and also suggests pouring the tea over ice to make an iced version that is a little more enjoyable (though I found the hot variety more soothing). I’m no expert in Ayurveda so I’m not sure there are any additional health benefits, but I noticed a great taste benefit from adding a pinch of cinnamon or a few slices of fresh ginger root to the brewed tea. A soothing and earthy herbal tea that is beneficial for the digestive system in reducing gas and bloating and which has a long history of use in Ayurveda. Optional prep step: For the best flavor, I like to roast the seeds on a baking sheet at 350 for about 5-8 minutes until fragrant and golden. This is optional but I find it really improves the flavor. Grind the seeds- place the fennel, coriander and cumin seeds in a coffee grinder or use a mortar and pestle to create a fine powder. Place this powder and the water in a small saucepan and bring to a boil. Simmer for 5 minutes until fragrant and remove from heat. Add cinnamon or ginger if using and stir. Let cool to warm before adding raw honey (if using). Note: some sources recommend letting the spices soak in the water for up to an hour before simmering, though I haven't noticed any extra benefit when I've done this personally. Strain through a fine mesh metal strainer and drink immediately or pour over ice for a cool drink. Can also be made in big batches, cooled and kept in the refrigerator until ready to consume. Can I use already ground spices? In theory, yes, though all original sources recommend using whole dried spices and using immediately before brewing. I would not personally drink fennel tea during pregnancy without checking with a doctor or midwife, as there is some anecdotal evidence that fennel may cause uterine contractions. Of course, it is important to check with a doctor before using this or any other natural remedy, especially for those with any existing health condition. Ever tried this? Can’t imagine adding taco seasoning to your tea? Weigh in below!